Let’s just be honest here. Mother’s Day usually gets a lot more fanfare than Father’s Day – which is usually a lot more low-key. Well, grandfathers, daddies (and hubbies) also deserve to have their treats. One of the best ways to celebrate for the family to gather for a sumptuous meal together. Just in case you forget, Father’s Day is on the 17th of June (Sunday). Many hotel dining places and restaurants have also planned for themed meals and promotions throughout the entire month. Here are 12 restaurants with Father’s Day Dining Deals for your consideration. Look out for the various discounts available exclusively for HSBC Credit Card holders. 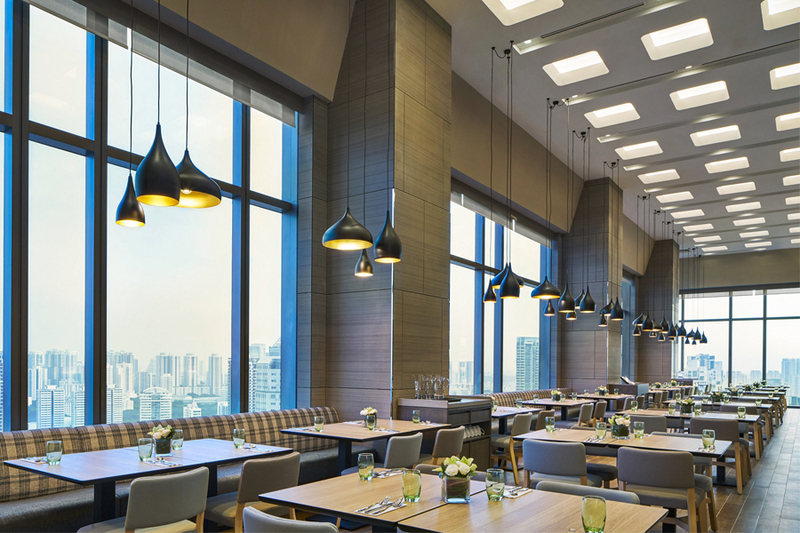 Sky22 is the new contemporary dining enclave at Courtyard by Marriott Singapore Novena located right on the 22nd floor – thus the name. It has a modern space featuring expansive floor-to-ceiling windows. Here, you will get to see a beautiful scene surrounding Novena, and panoramic views of the nature reserve. Helmed by Executive Chef John Chye, the menu has a focus on local cuisine, committed to using premium quality ingredients and local aromatics to create signature dishes including ‘Nasi Ulam’ Wild Rice Salad with charred octopus, Singapore Chilli Crab Pizza, Pan-seared Red Grouper with Sambal Oelek and Tiger Prawn Laksa Lemak. On Father’s Day, 17 June 2018, Sky22 will celebrate the occasion with a meat galore buffet brunch. Expect the freshest catch including poached prawns, mussels and flower crab; grill items such as Peppers Chimichurri Minute Steak, Mint & Lemongrass Marinated Lamb Chops, Bourbon Glazed Barbecue Baby Back Ribs, Garlic Butter Tiger Prawns, Seabass with Mediterranean Salsa and more. Also included are Asian delights of Singapore Chilli Crab, Crispy Pork Belly, Seafood Penang Char Kuay Tiao and Sky22’s signature Laksa from the live station. –	1 dines free with 3 paying adults for Father’s Day Brunch Buffet. –	Offer is valid on 17 June 2018. –	Exclusively for HSBC cardholders. –	Call 6378 2040 for reservations and quote “HSBC Father’s Day Promo”. 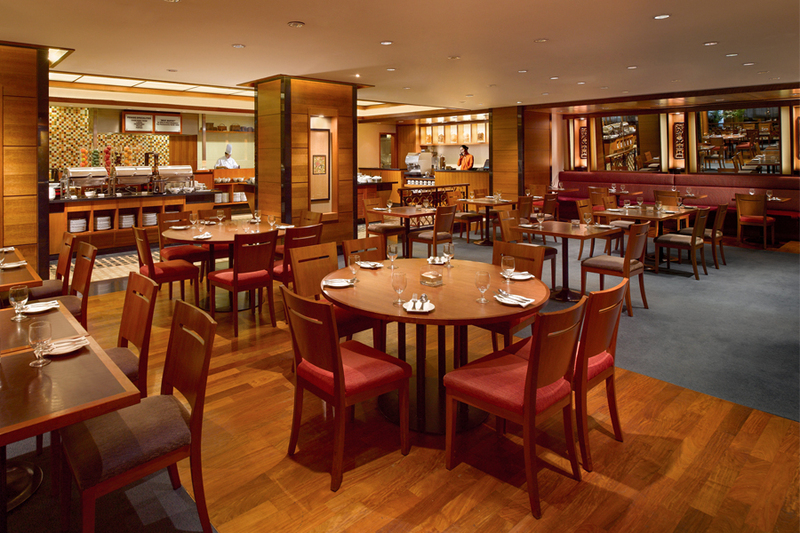 Azur is the all-day dining restaurant at Crowne Plaza Changi Airport. 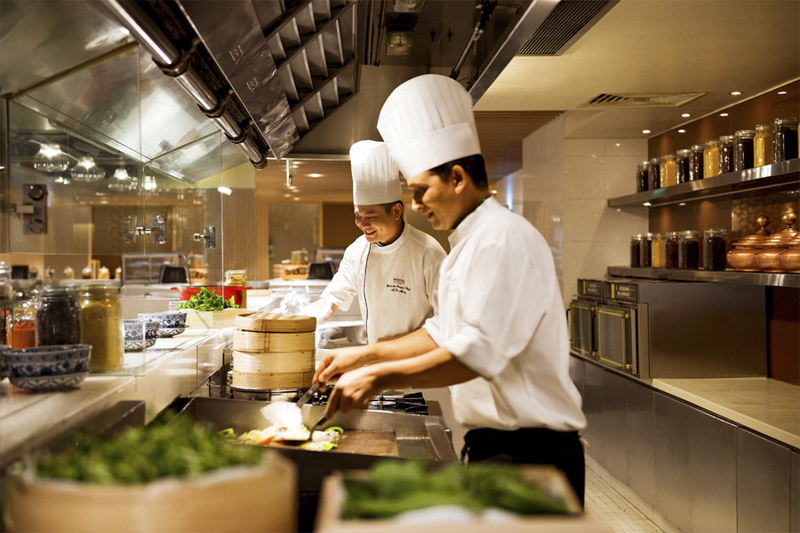 It is known for its open kitchen concept, presenting guests with a view of the ‘cooking theatre’ as experienced chefs serve up an extensive buffet spread featuring Asian delicacies and Western cuisines. Indulge in a sedap-licious buffet this June with Singapore-inspired flavours, from Whole Salmon in Laksa Gravy, Lamb Slab Biryani, Satay Marinated Beef Short Rib and Durian Pengat to Chendol Panna Cotta. –	Dad dines free with minimum 2 paying adults. –	Valid from 1 June 2018 to 30 June 2018. –	The offer is not valid on eve of Public Holidays, Public Holidays, blackout dates and special occasions determined by the hotel. –	The Offer is not valid in conjunction with other promotions, privileges and vouchers. –	Prior reservation is highly recommended. The name “Food Exchange” arises from the idea of a local and global culinary exchange in a “market place” setting, where chefs prepare food in live cooking stations, right in front of its guests. The all-day dining buffet restaurant features a tempting fusion of Asian and European delights, which includes Roast Leg of Lamb, Baked Mediterranean Whole Seabass, Salmon with Pink Grapefruit, Stingray Sambal Sauce and Singapore Laksa. In addition, the stylish restaurant lets in natural light with its full ceiling-to-floor glass windows, revealing the view of an infinity pool, with lush greenery in the backdrop. 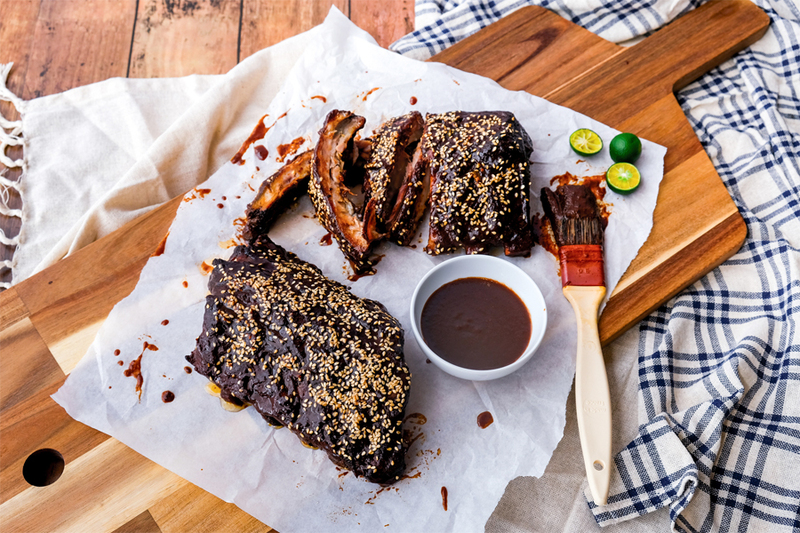 Other than a Father’s Day themed photo booth and Chocolate “Cigar” as a gift for Fathers, families can gather to enjoy special dishes such as Buttermilk Fried Chicken, Oysters Rockefeller, Beef Bourgogne and Roast Prime Ribs. –	Father dines free with 2 paying adults for daily lunch and dinner buffet. 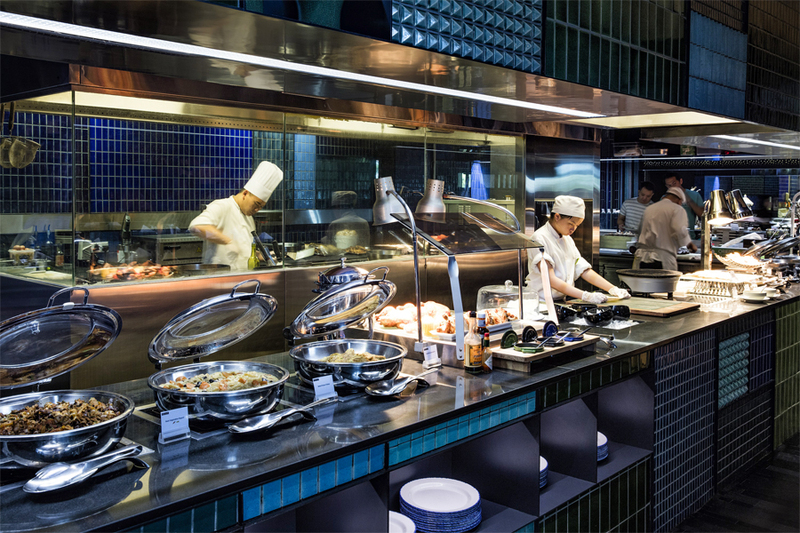 The Square Restaurant at Novotel Singapore Clarke Quay offers an array of choices including international buffet and monthly theme promotions. 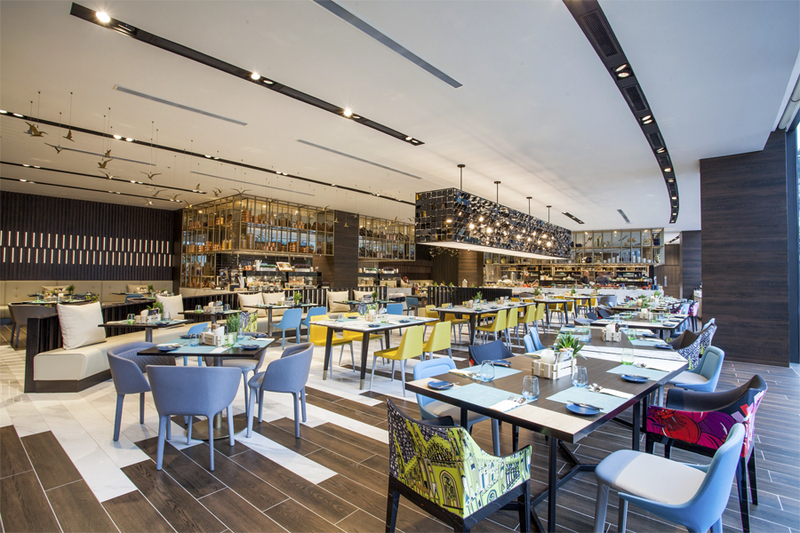 This modern restaurant boasts an interactive live cooking experience, and diners can have their desired dish prepared in the open kitchen. 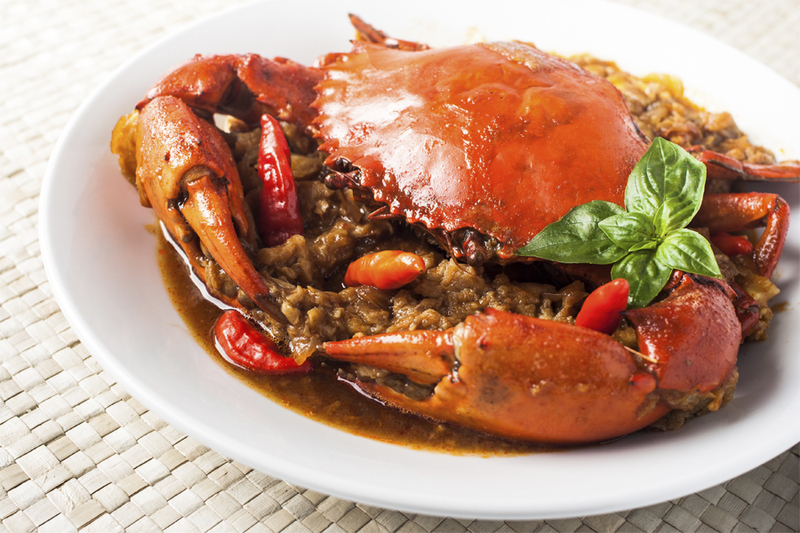 Signature dishes to look forward to include Singaporean local favourites like The Square Signature Laksa and Live Station Chilli Crab, Seafood on Ice and Durian Pengat for lovers of the “king of fruits”. 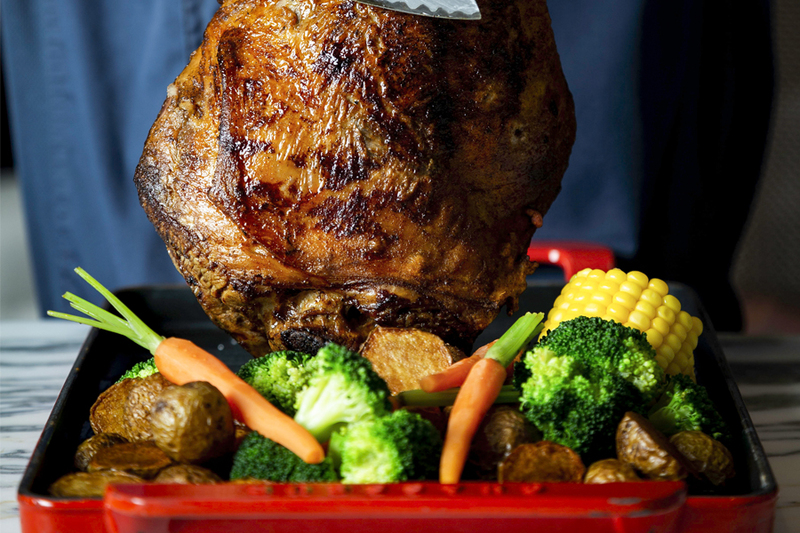 Expect a 3kg customized cake and tantalizing Pork Ribs when you dine on Father’s Day. Fathers also get to enjoy a glass of beer/in-house wine and receive a $20 return voucher. –	Father dines free with min 3 paying adult. –	Promotion is valid only for Father’s Day Lunch & Dinner Buffet on 17 June 2018 at The Square Restaurant. 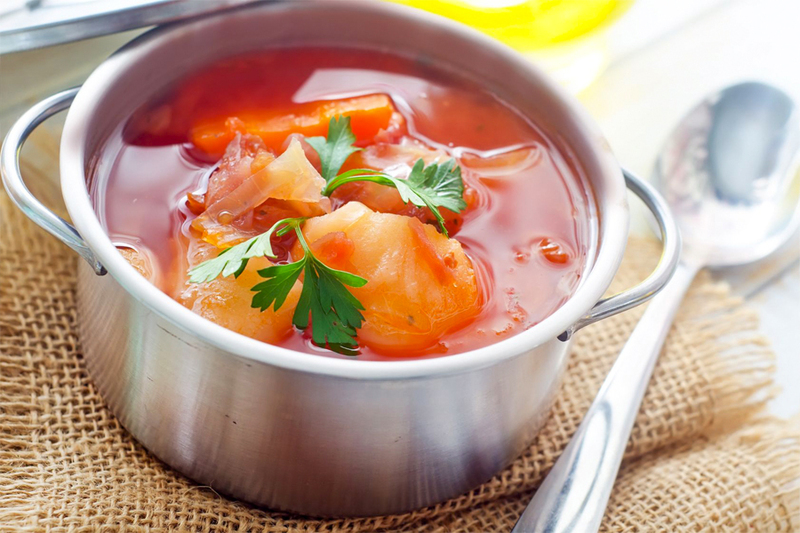 –	Buffet menu items are on a rotational basis and subject to change without prior notice. –	Reservation is required to be made by 15 June 2018. –	Promotion is not to be used in conjunction with other promotions, vouchers, sets, privilege programs or Accor Plus dining benefits. –	All prices are subject to 7% GST and 10% Service Charge. –	Other Terms & Conditions apply. 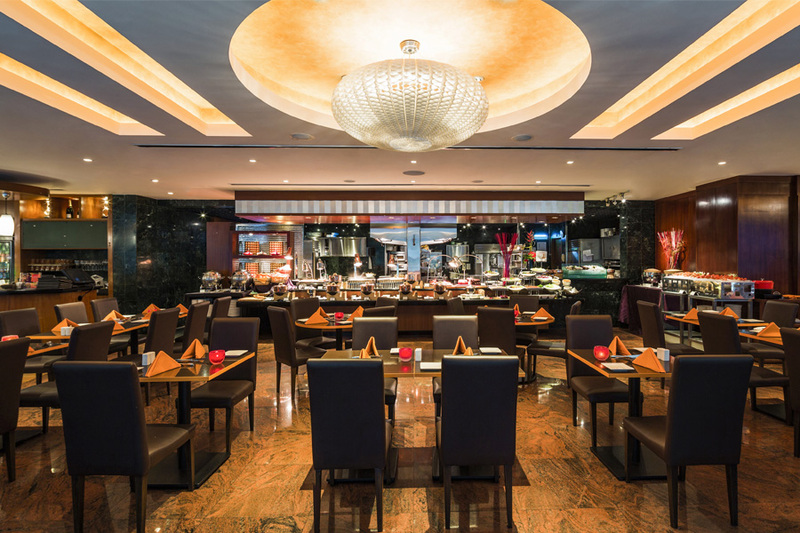 Spice Brasserie specialises in local and Asian favourites, and the all-day dining restaurant includes à la carte options as well as buffet selections with live action stations, a Japanese sushi bar, along with a variety of appetisers to desserts. 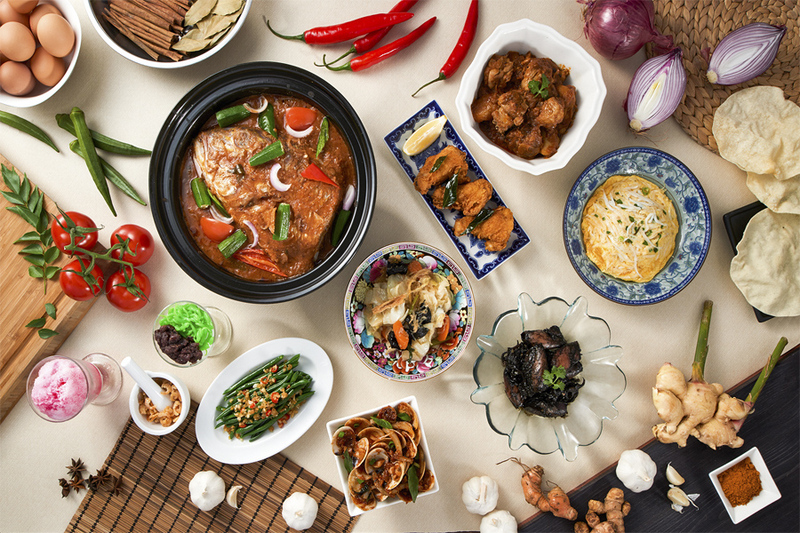 Enjoy Peranakan Fare for lunch daily at from $35 per adult, Nostalgic Teochew Porridge Buffet Dinner on Mondays to Wednesdays from $29 per adult and the popular Crab and Seafood buffet on Thursdays to Sundays from $65 per adult. Enjoy a hearty meat buffet at Spice Brasserie this Father’s Day, available exclusively on 17 June 2018. 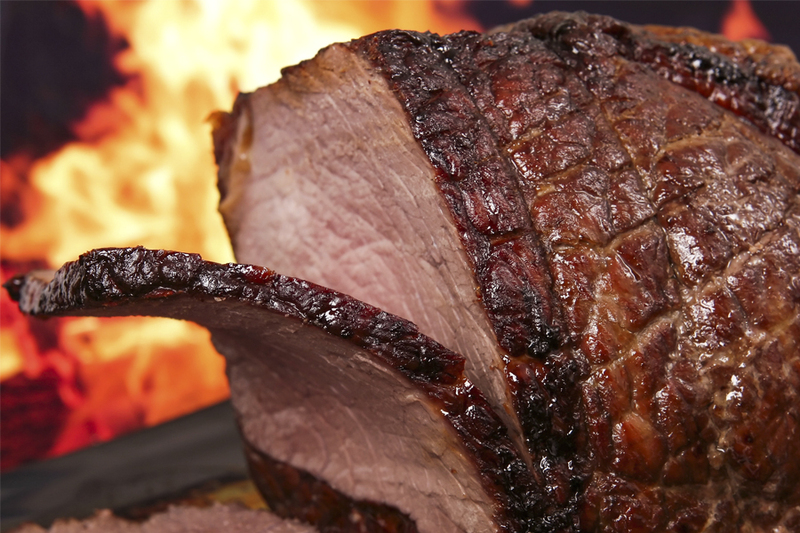 At $45 per adult, there will be a meat feast of Roasted Prime Rib, Roasted Gammon Ham, Roasted Turkey, Roasted Legs of Lamb and many more at the Carvery stations. –	Father enjoys free flow beer with a minimum of three (03) accompanying paying adults. –	All prices quoted are subject to GST and service charge, unless otherwise stated. As country winner of the 2017 World Luxury Restaurant Awards, The Salon at Hotel Fort Canning presents a collection of diverse culinary offerings amidst the greenery of Fort Canning Park. 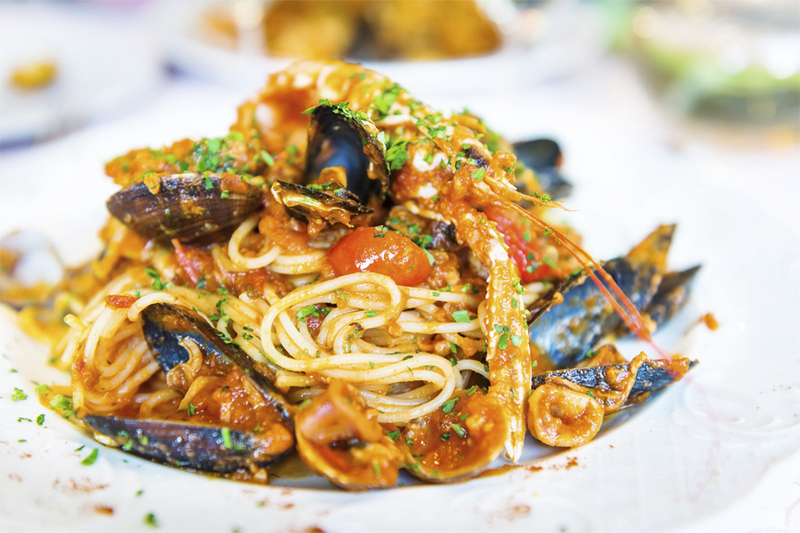 The Salon’s menu offers Western flavors and Asian favorites such as Fried Mee Siam with Boston Lobster ($28), Laksa Spaghetti ($15), 24-Hour Pork Belly Burger ($26), Singapore Laksa ($16) and Italian classics of brick oven-fired pizzas. There will be an international buffet spread featuring a number of food stations, including a live grill station serving up an assortment of fusion meats – from Marinated Tandoori Lamb with Mint Sauce, Sweet Paprika Chicken, Korean Beef Striploin, to Bratwurst and Cheese Spätzle and Italian Spicy Sausages, all with juicy roasted potatoes to complement the sizzling experience. Choose from a variety of cold appetisers including Hawaiian Chicken Ham Macaroni and Fresh Air-Flown Mesclun Salad. 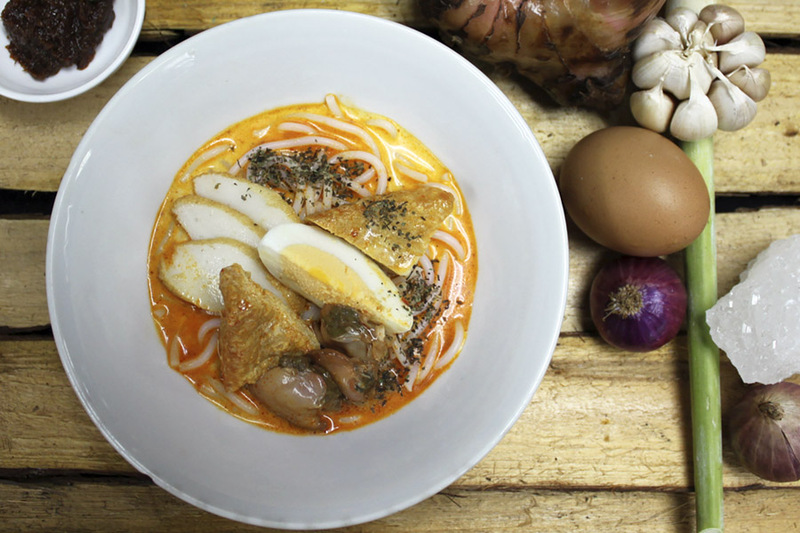 Do leave some space for the made-to-order Claypot Peranakan Laksa and Lobster Minestrone Soup. 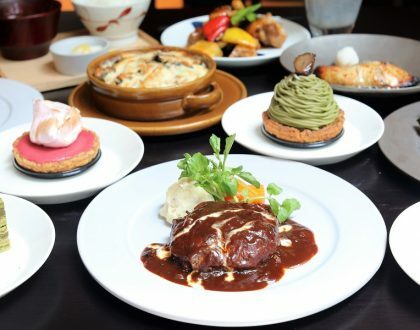 And round up the meal with sweet desserts from Classic Tiramisu to Rustic Pecan Pie, Crème Brûlée and Red Bean Soup with Lotus Seeds. Pricing: Adult: $68++ ; Child (4 to 12): $34++; Children under 4 dine free. –	Dad dines free with every 3 paying adults for HSBC cardholders. –	Payment to be made with a HSBC credit card. –	Valid only on 17 June 2018 at the Father’s Day in the Park lunch buffet. 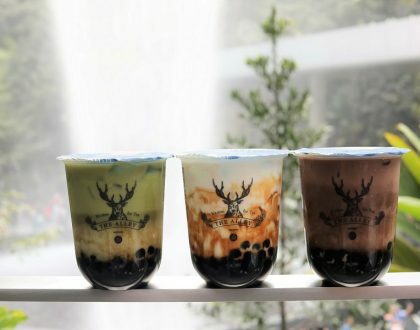 White Rose Café is a modern dining venue known for its array of delectable local and Western specialties as well as its highly popular Penang Hawkers’ Fare where the hawkers are flown in from Penang during March, September and December, whipping up authentic Penang street food. Recommended from the restaurant’s a la carte menu are Black Ink Sotong (Squid), Chap Chye, Chicken Masala, Yee Pin Mai Fun, Mee Siam, Nasi Goreng, Mee Goreng, and Fried Hokkien Mee, all are available for lunch and dinner. For those who enjoy a spread of Singaporean favourites, White Rose Café’s signature ‘Treasured Flavours of Singapore’ daily a la carte lunch buffet (available from 12pm to 2.30pm) offers a mouth-watering spread of 25 tantalising creations served alongside the restaurant’s signature Fish Head Curry. This Fish Head Curry dish is prepared according to a well-guarded recipe from the then-famous Soon Heng Restaurant back in the 1970s, with a mixture of Indian, Chinese and Malay influences. 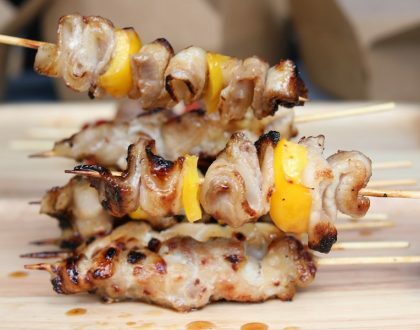 $29++ per adult and S$15++ per child (age 5 to 11 years ) and not valid during Penang Hawkers’ Fare promotion. –	Dad dines free with 4 paying guests for the ‘Treasured Flavours of Singapore’ Daily a la carte buffet lunch on 17 June 2018. 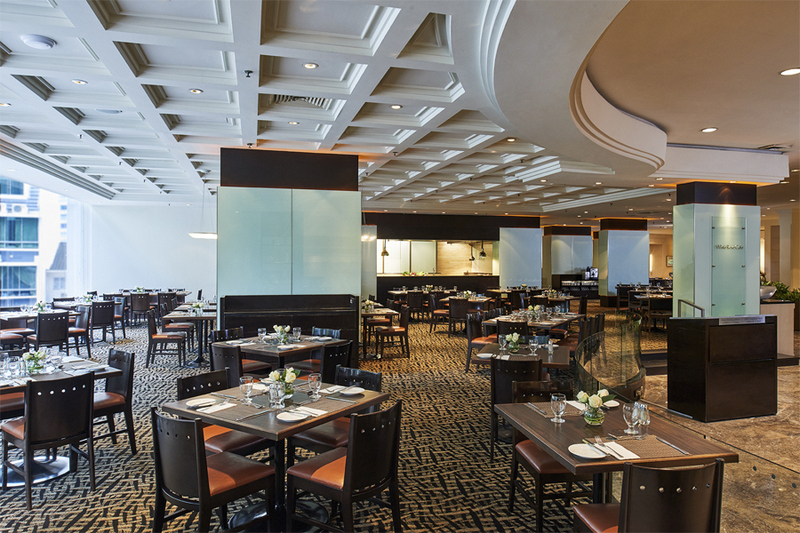 Renowned for serving Singapore’s well-loved Penang Buffet since the early 1970s, Princess Terrace serves up a spread featuring authentic Penang delicacies prepared using fine ingredients and traditional cooking methods. 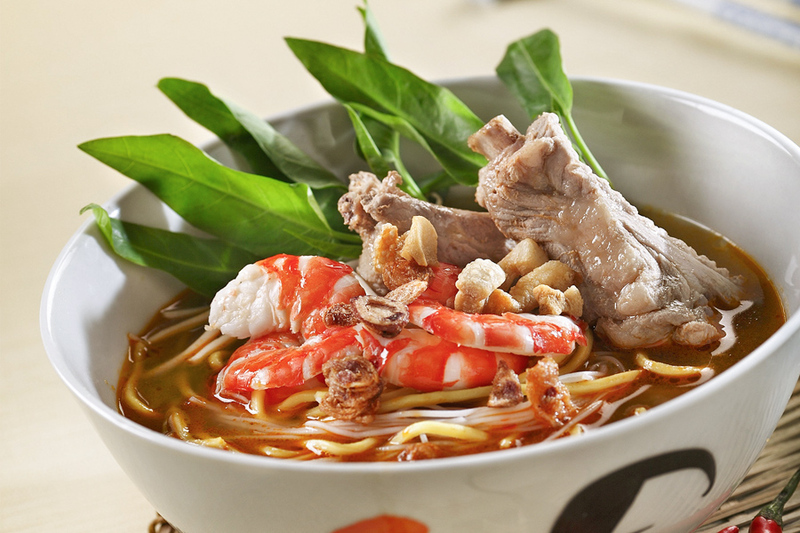 Familiar favourites that can take you back to Penang include the signature to Penang Laksa, Kway Teow, Prawn Mee, and Duck Leg Mee Sua. The freshly made Nonya Kueh also make a sweet-end to the meal. 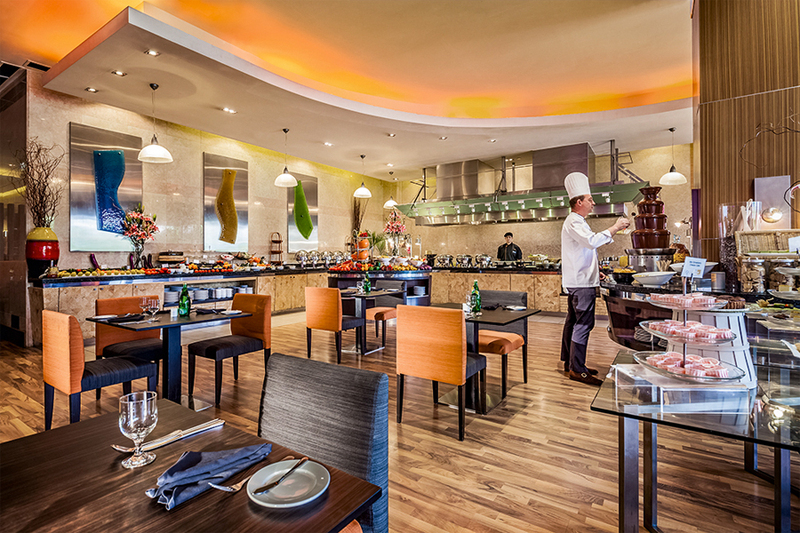 –	1 dines free with every 2 paying adults, valid for both lunch and dinner buffet. –	No splitting of bills is allowed. 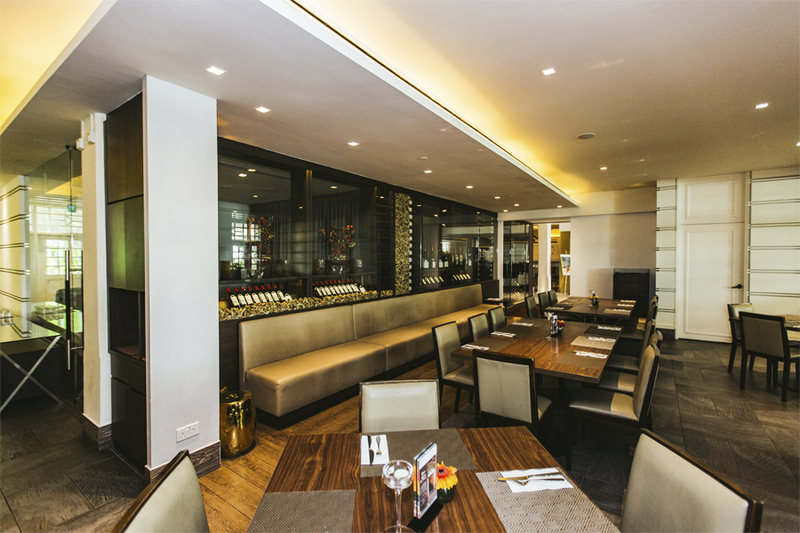 –	Prior reservation is required and subject to availability, please quote “HSBC dining offer” upon reservation. –	Promotions are not valid with other ongoing promotions, offers, vouchers, discounts, promotional set menus, privilege card(s), loyalty programme or in-house offers, unless otherwise stated. –	This offer is not applicable during eve of Public Holiday, Public Holiday, festive celebrations and any other promotional period unless stated. –	Offer is valid till 30 June 2018, but not valid on Father’s Day (17 June 2018). –	Valid for dine-in only. Not valid for functions, banquets or catering functions. –	Events which fall under the category of special occasions are determined by the Hotel and are subject to change without notice. Boasting a multi-sensory dining experience, Food Capital showcases the best cuisines from around the world, live from their theatrical show kitchens. 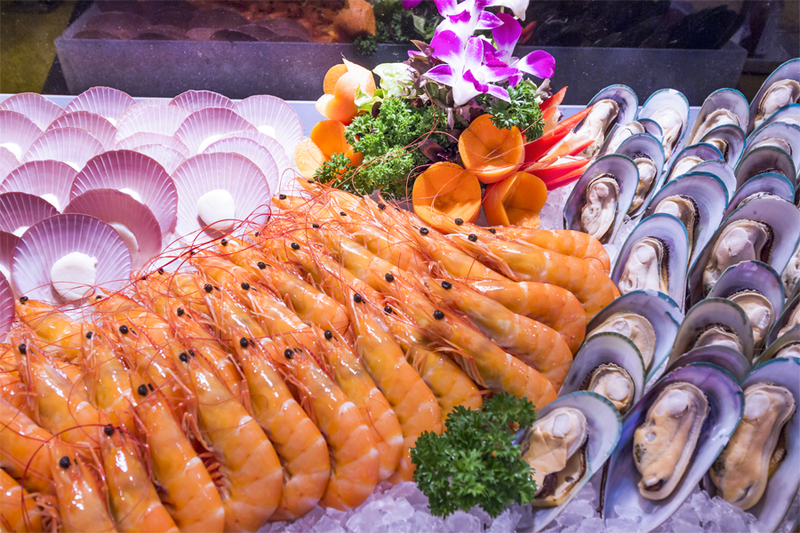 Buffet menus are on a rotational basis, but do look out for the Slow-Cooked 70 Degree Veal Shank, Baked Salmon with Country Tomato Chutney, Grand Copthorne Signature Laksa, as well as the Singapore-Style Chili Crab with Crispy Buns. 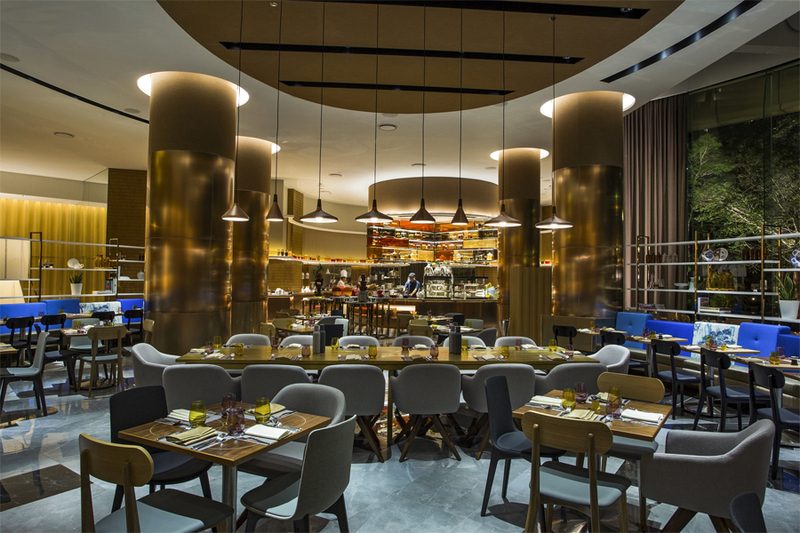 Café 2000 at M Hotel Singapore serves up perennial favourites such as the Premium Seafood Fried Rice and Chef’s signature juicy steaks, grilled over charcoal. Popular favourites include Juicy & Succulent 8oz Wagyu Beef Burger ($28), Teriyaki Nagi Pizza ($23), Seafood Arrabiata Spaghetti ($22), Grilled Arctic Halibut Fillet ($33) and Premium Lobster Seafood Fried Rice ($38). 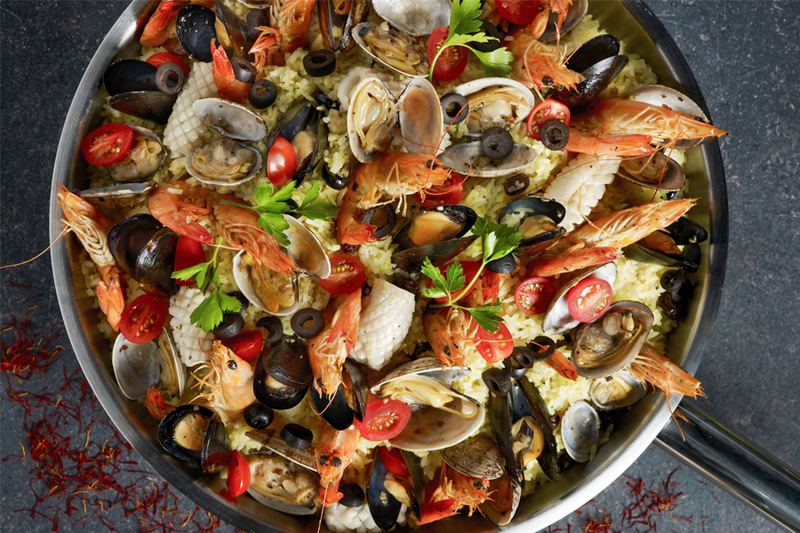 There is also the Seafood and Barbeque Buffet served on Fridays and Saturdays to savour sizzling outdoor grill items of Black Angus Beef, Scallops and Italian Pork Sausage. 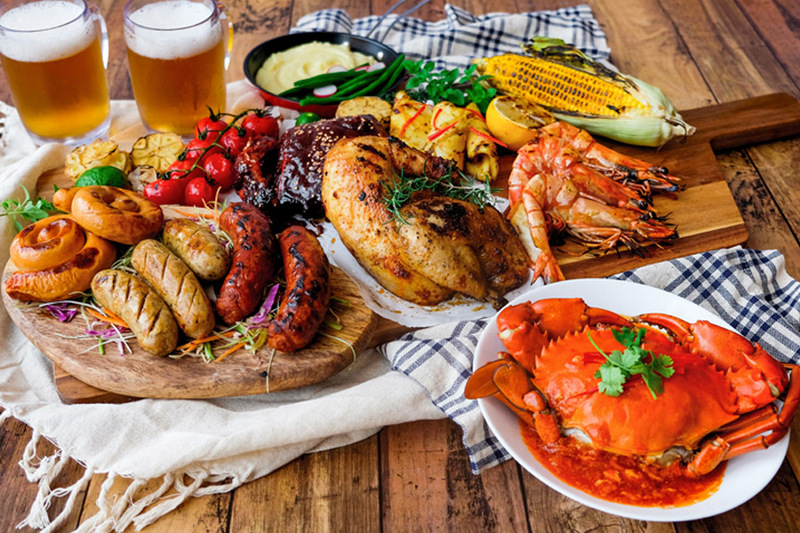 Experience a Crab & Oysters Seafood Feast with ‘live’ BBQ. The Buffet is known for serving up local and international favourites during lunch time, including sweet Singapore desserts such as Nonya Kueh and Durian Pengat. In the evenings, you can experience a different theme with the Steamboat Buffet Dinner. What you can look forward to include Chef’s monthly specialty soup base along with a premium spread of seafood such as Crabs, Prawns, Cockles, Baby Pomfrets, as well as Beef, Lamb and Pork. 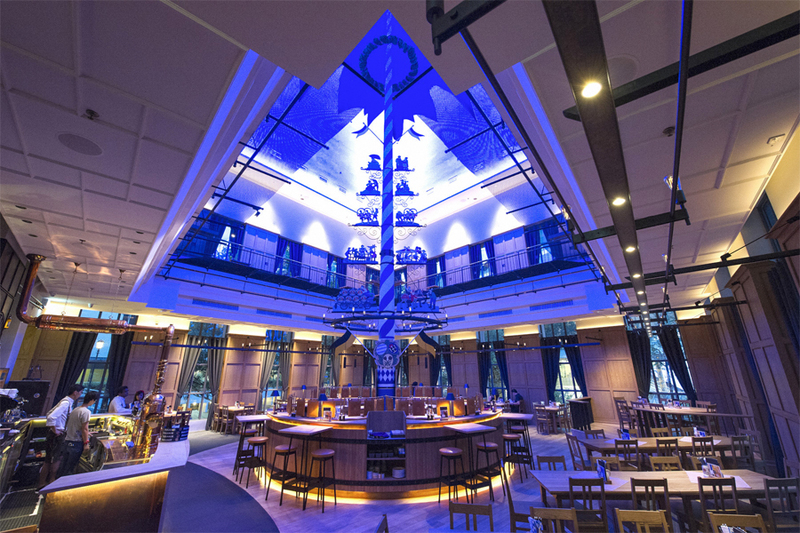 Paulaner Bräuhaus is Singapore’s only German microbrewery and restaurant, known for producing hand crafted premium quality beers. 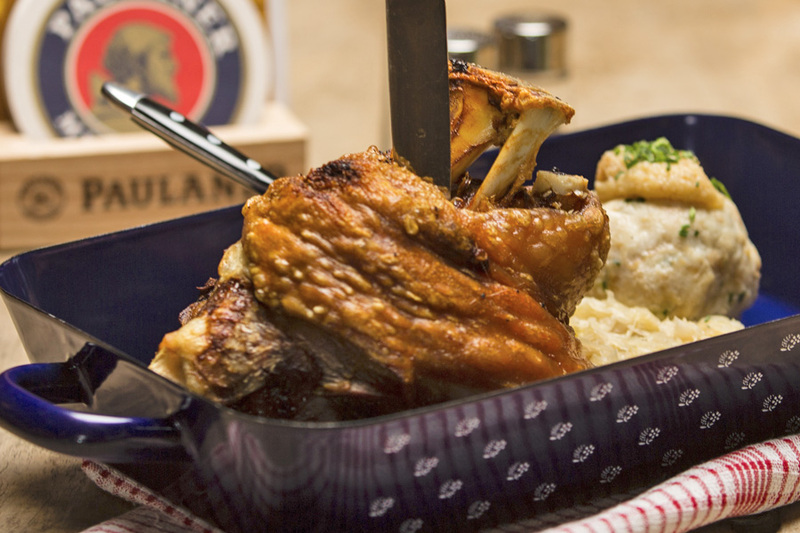 Diners can also expect other authentic German favourites like Roasted Whole Pork Knuckle, Roast Pork “Munich Style”, Roasted Half Chicken “Oktoberfest Style”, Grilled Meatloaf Leberkäse, Beef Beer Goulash and Roasted Duck with Bavarian Bread Dumpling. 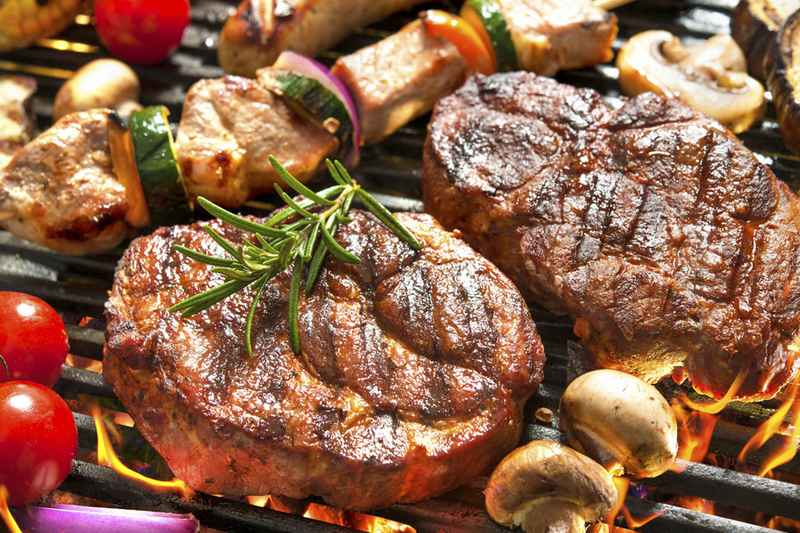 The regular Sunday Brunch will take on themed “Father´s Day BBQ Brunch” on June 17, with Executive Chef Klaus presenting grilled specialties on the “live” BBQ Grill. * This entry is brought to you in partnership with HSBC Credit Cards.